Alex Tartakovsky now leads ACMD Division’s Computational Mathematics group. 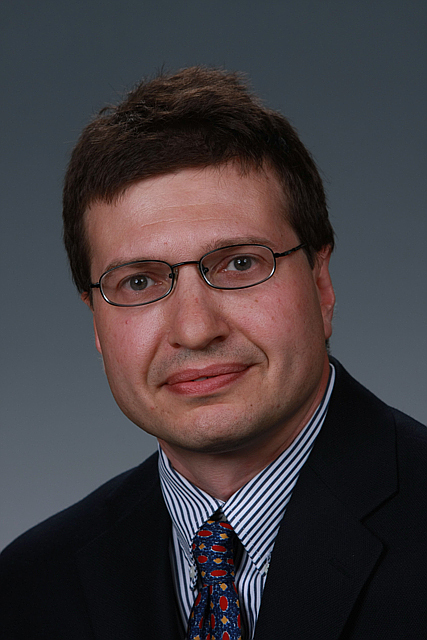 This month, Dr. Alexandre Tartakovsky joins the Advanced Computing, Mathematics, and Data Division as the full-time Associate Division Director for Computational Mathematics. In his new role, Alex will oversee the talented personnel who compose ACMD Division’s Computational Mathematics group, which includes computational engineering, uncertainty quantification, multiscale mathematics, and computational social sciences teams. Alex’s goal is to continue building Pacific Northwest National Laboratory’s Computational Mathematics group to world-class strength. He also will continue his scientific leadership role in applied mathematics through a variety of important projects. This appointment marks Alex’s second term at PNNL. He initially came to the Laboratory in 2004, where his primary research focus was multiscale mathematics and uncertainty quantification with applications to flow and reactive transport in porous media and other complex natural and engineered systems. In 2013, he joined the University of South Florida as an associate professor of mathematics and geology but retained a joint appointment with PNNL. In 2011, Alex received a U.S. Department of Energy Early Career Research Program award. He also received the 2008 Presidential Early Career Award for Scientists and Engineers, recognizing his leadership in computational mathematics for subsurface flow and transport in heterogeneous media. He earned his Ph.D. in hydrology from the University of Arizona in 2002.